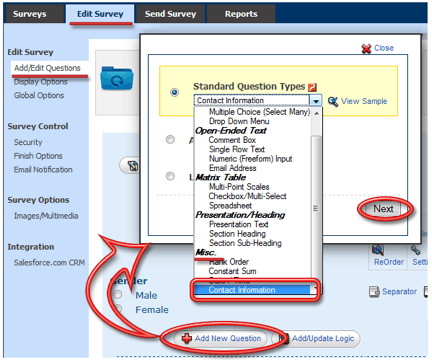 Why is it important to collect a survey-taker's contact information? Well, there are a lot of reasons why giving your contact information helps surveyors. With SurveyPocket's new ability to collect contact information, we've added the efficiency for defining demographics, which gives SurveyPocket yet another advantage for a wider range of survey types. 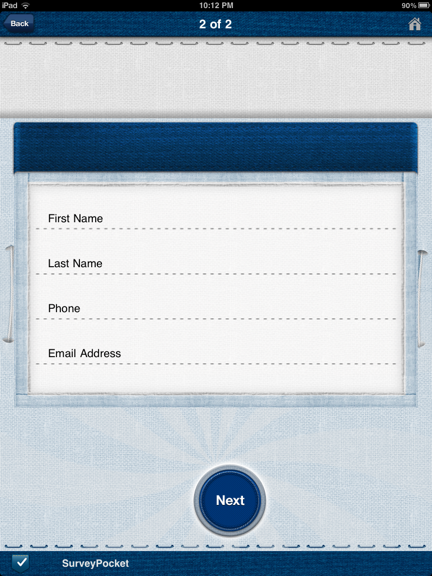 Each address or name is selected at random to represent hundreds or thousands of others. We are not able to substitute another name or address for yours, and if you don't participate it means that people like you are less represented in the information we provide to decision-makers. Your participation is voluntary but we encourage you to consider the important uses of the data we collect. Your information will be combined with other participants in the form of statistical data and your identity will never be connected to your responses. 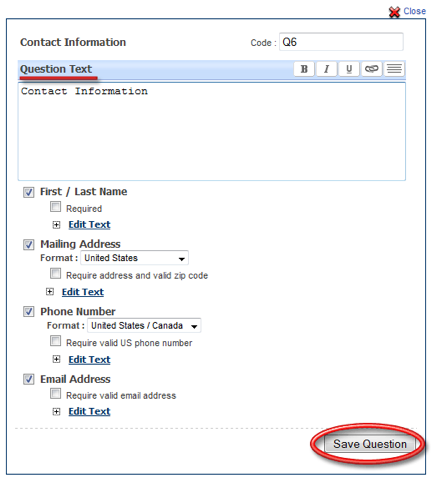 Click on the Add New Question button and select the Contact Information question type option from the Standard Questions drop menu. All of my questions steteldthanks!